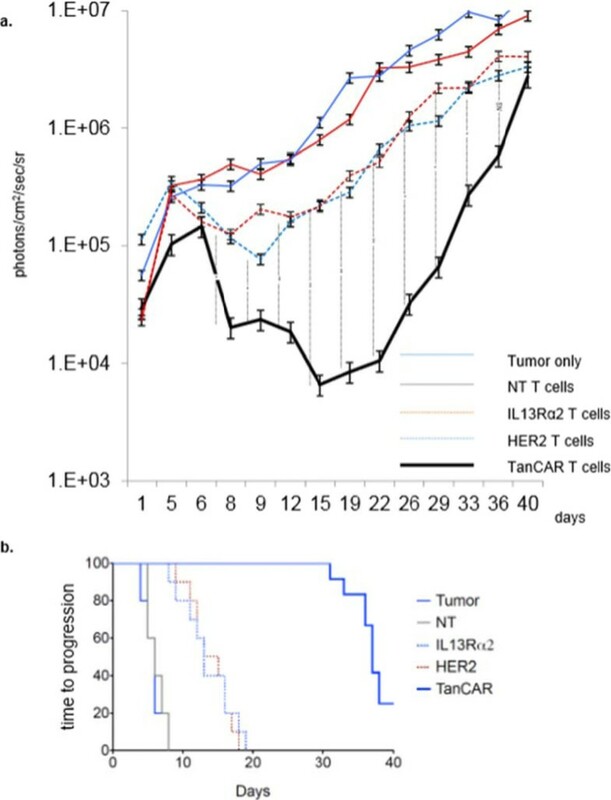 Antigen escape tumor cell variants prevail in tumors recurring after treatment with chimeric antigen receptor (CAR) T cells with a single specificity. Recurrent tumors preserve alternative non-targeted tumor associated antigens. 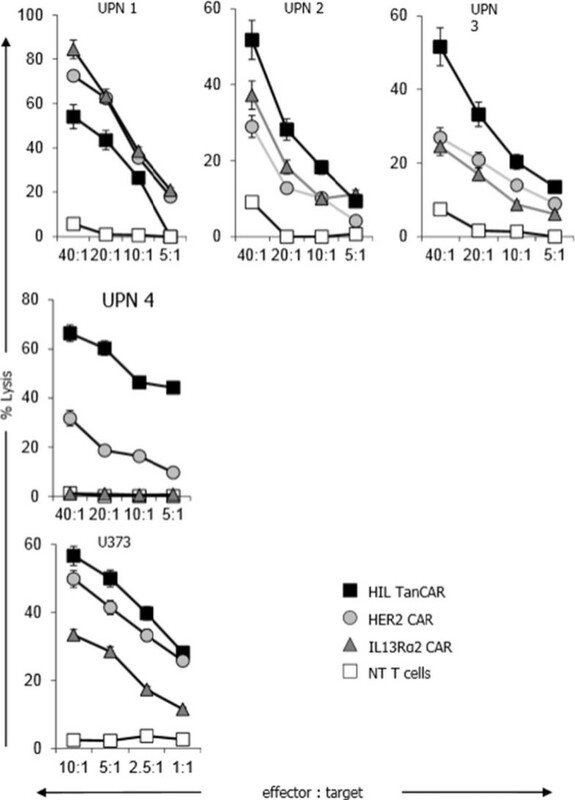 A bispecific CAR will mitigate antigen escape enhancing the antitumor activity of T cells. 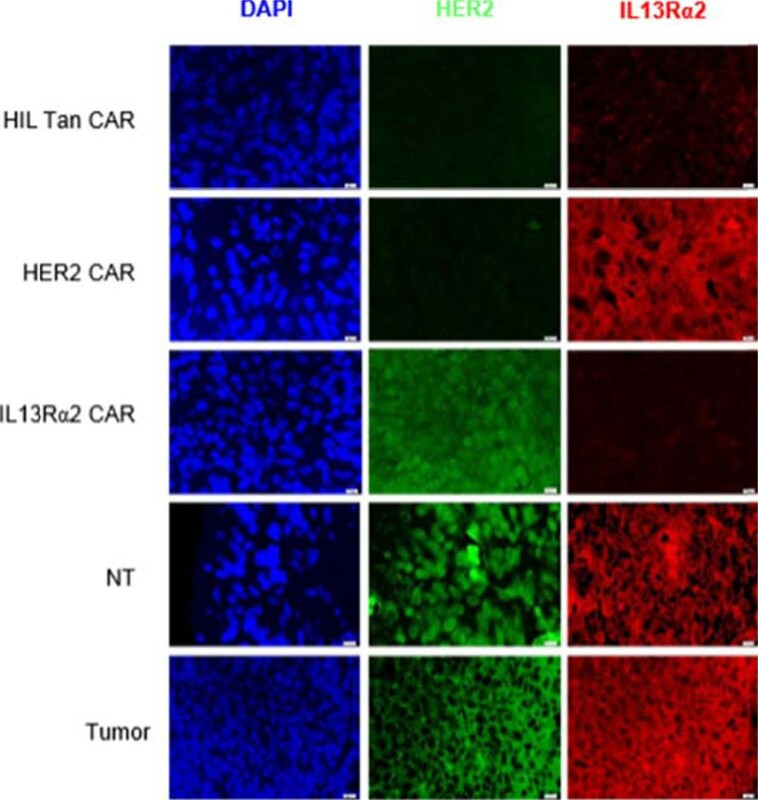 HER2 and IL13Rα2 are currently targeted in Phase I glioblastoma (GBM) trials using CAR T cells. 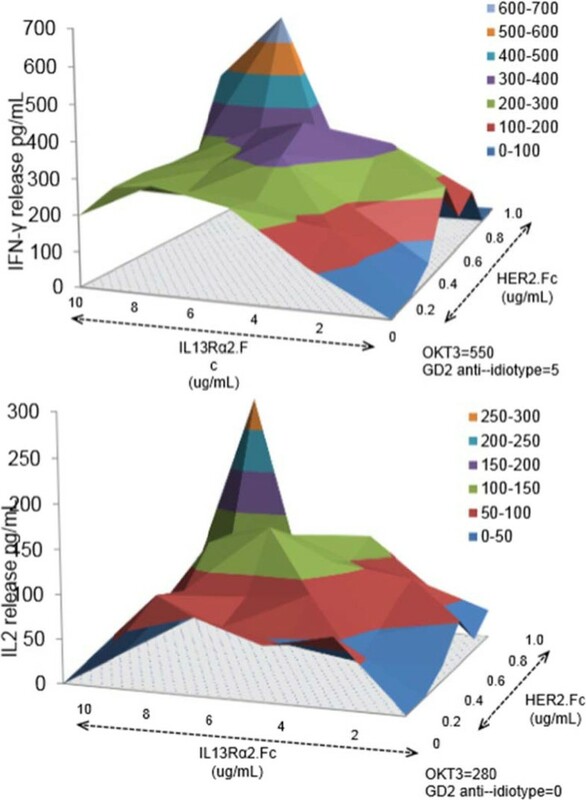 We created a bispecific CAR molecule with a HER2-specific scFv joined in tandem to an IL13Rα2-binding moiety in the CAR exodomain (Tandem CAR) and a CD28.ζ signaling endodomain. We used computational modeling to interrogate this design. 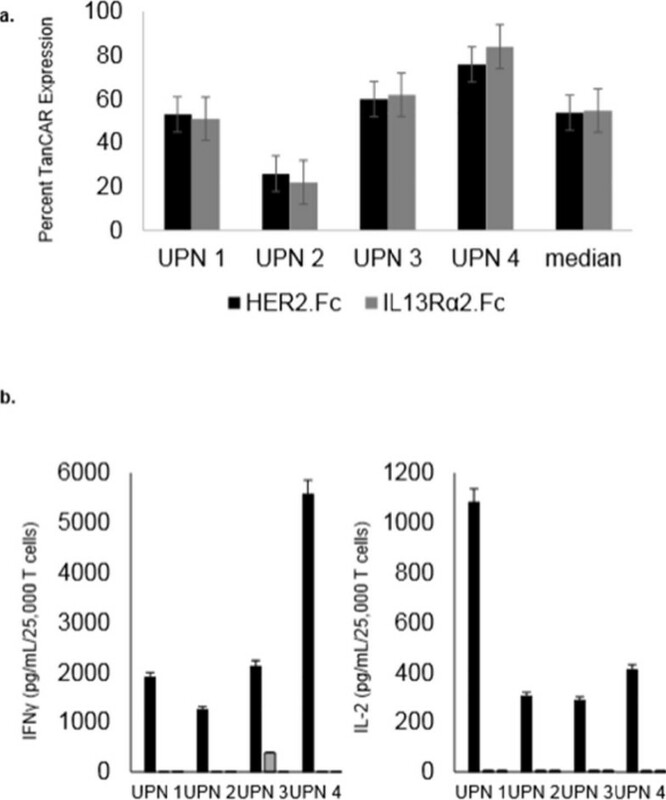 GBM patients' Tandem CAR T cells showed distinct binding to soluble HER2 and IL13Rα2 and killed primary autologous GBM cells. 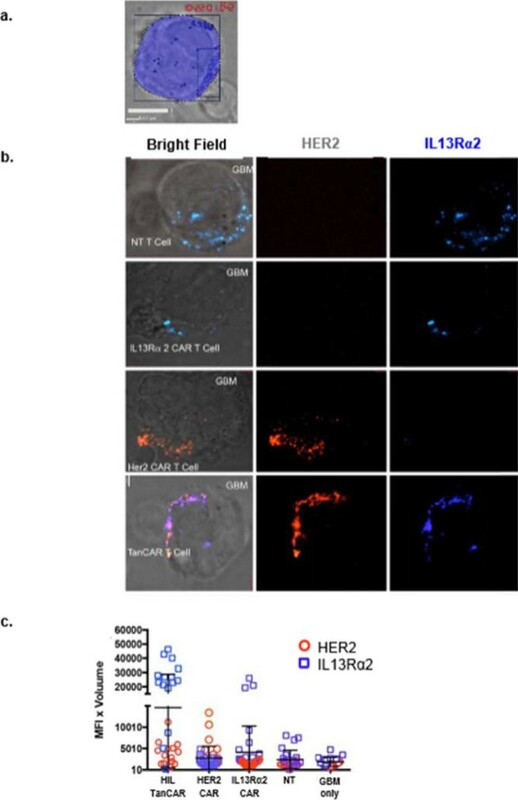 Three-dimensional reconstitution and quantification of confocal images of the Tandem CAR T cell/tumor interface revealed enhanced bifunctional immunological synapses compared to conventional CARs. Further, Tandem CAR T cells exhibited significantly enhanced inexhaustible activation dynamics when compared to conventional HER2 or IL13Rα2 CAR T cells and better controlled established GBM in an orthotopic murine model by offsetting both HER2 and IL13Rα2 escape. 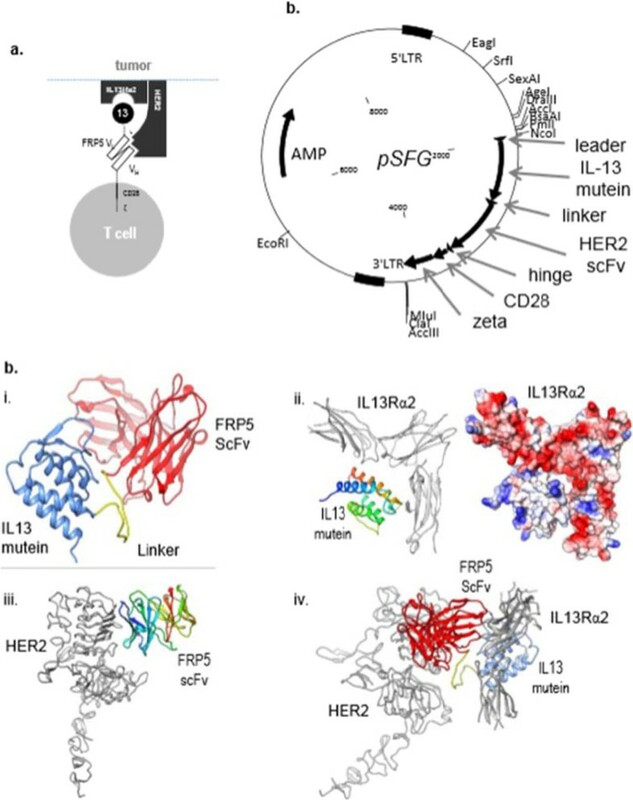 Tandem chimeric antigen receptors enhance T cell activation and mitigate antigen escape through bifunctional immunological synapse formation in GBM.